The Middle Years Programme (MYP) is designed for students aged 11 to 16. It provides a framework of learning that encourages students to become creative, critical and reflective thinkers. The MYP emphasizes intellectual challenge, encouraging students to make connections between their studies in traditional subjects and the real world. It fosters the development of skills for communication, intercultural understanding and global engagement — essential qualities for young people who are becoming global leaders. The MYP is flexible enough to accommodate most national or local curriculum requirements. 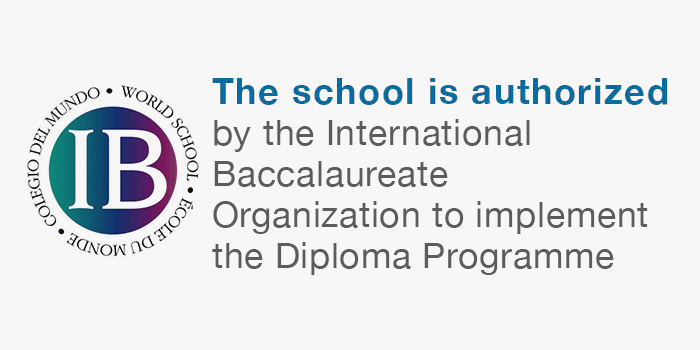 It builds upon the knowledge, skills and attitudes developed in the IB Primary Years Programme (PYP) and prepares students to meet the academic challenges of the IB Diploma Programme (DP) and the IB Career-related Certificate (IBCC). Requires the study of at least two languages (language of instruction and additional language of choice) to support students in understanding their own cultures and those of others. Empowers students to participate in service within the community. 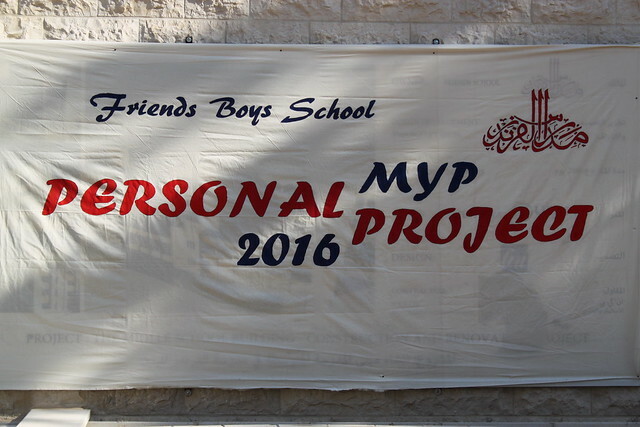 MYP Service and Action encourages students to plan their service activities and to engage in meaningful and authentic service as action that contributes to their community, defined as their school, neighborhood, city, country or the world. Grade 6 to 8 students plan a class-initiated service as action that originates from, and integrates with, their curricular studies, and evolves from a school-related initiative to a community-based project, changing from a teacher-led to a student-led initiative. In Grade 9, students work in small groups to identify and plan for service as action initiatives that arise from their learning in class. In Grade 10, students either work independently or in small groups to initiate service as action plans that result from their studies. MYP Global Contexts focus rich learning experiences across the curriculum around six global contexts of international significance that are studied through a local lens, providing relevance to students’ own experiences of the issues. Identities and Relationships: Who am I? Who are we? Orientation in Space and Time: What is the meaning of ‘where’ and ‘when’? Personal and Cultural Expression: What is the nature of creative expression? Scientific and Technical Innovation: How do we understand the world in which we live? Globalization and Sustainability: How is everything connected? Fairness and Development: What are the consequences of our common humanity? MYP Personal Project (PP) is the culminating project of the MYP, requiring students to select an inquiry of personal interest that they would like to further explore and investigate to produce a product, activity or event which will allow each to demonstrate cumulative concepts, skills and approaches to learning, developed throughout the MYP. Students are required to address four learning criteria as they identify their inquiry’s learning objectives, develop a project plan, implement all steps and stages of the process while overcoming obstacles, and reflect on their learning through each step or stage, recording their reflections in a process journal that is later used to prepare the Personal Project Report that demonstrates their new learning. take pride in their accomplishment – their very own Personal Project!